Welcome to today's PMQ's live blog, where the weekly bout between David Cameron and Jeremy Corbyn is set to be dominated by last Friday's terror attacks in Paris and the UK's reaction. Expect foreign policy and national security to be the only issues in town as MPs pay their respects to the 129 victims and give their views on whether Britain should join in the bombing of Isis in Syria. Conservative MPs, as well as many on the Labour benches, will want to exploit Corbyn's position on counter-terrorism measures such as 'shoot-to-kill', as well as his opposition to military intervention in Syria. The IndependentA string of Labour MPs have praised David Cameron’s efforts to win parliamentary approval to bomb Isis targets in Syria and criticised their own leader’s response to the Paris attacks. 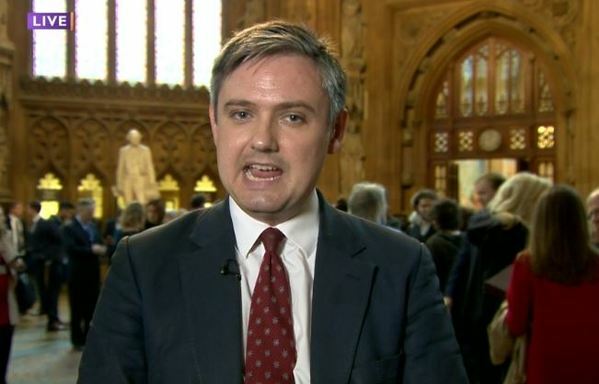 ">lined up David Cameron with questions that he could attack Jeremy Corbyn on - expect more today. Jeremy Corbyn is up with his first question, to jeers from the Tory benches. He pauses and gives his typical death stare. Jeremy Corbyn asks about the support given to British nationals affected by the Paris attacks and the latest Government advice for Brits travelling to France. David Cameron says 'what a pleasure' it was to be at the England and France friendly at Wembley last night to show solidarity with the French. He says the most important thing is for people to "carry on going about our business"
"One of the ways to defeat terrorism is to show them we cannot be cowed," he adds. Cameron replies by saying 'it's not good enough to say there's no connection between Isis and terrorism' - they're making the connection. Muslim scholars are "absolutely vital" in the fight against Islamic extremism, he says. Corbyn says a crucial way to defeat Isis is to cut its funding, its supply of arms and its trade. "But don't make that a substitute for beating these people where they are." It's been a rather sombre affair so far but now comes a Joke from Corbyn as he turns to cuts to policing. Referring to George Osborne's habit of leaning over to brief Cameron on economic issues, Corbyn asks the PM: "Does he want me to go on longer so his Chancellor can explain the answer to him?" Corbyn returns to policing with his last question - using crowd-sourcing question from "taxpayer John", who says it's no wonder that moral is so low in police that one in three officers are considering leaving police. Corbyn asks whether policing will be protected in next week's spending review. Tory MPs barracking Corbyn when he says he has "a question from a taxpayer, John" really shouldn't... Does not come across well. 'You cannot outsource foreign policy to a Russian veto,' Cameron finishes. Cameron shoots down Angus Robertson pointing out public opinion against military intervention in Syria. "My job is not to read a Survation opinion poll but is to make this country safe," he says. Richard Fuller, Tory MP for Bedford, describes the Isis terrorists who killed 129 people in Paris as "vile, murderous scum" as he praises the reaction by the French police in killing the terrorists who didn't blow themselves up. “Will the PM send a note of unequivocal support today to those officers on patrol and ensure that in the review next week they have the resources they need to keep us safe?” he asks. Cameron replies by telling UK police who might face the same threat: "You can, indeed you must, use lethal force." John Mann says his niece was caught up in the Paris attacks but tells MPs she is worried about cuts to police, ambulance services and fire service and is worried about the impact this could have on potential terror attack on British streets. He also asks why we're not joining with the Russians to get a UN mandate to destroy Isis. Tuliq Diddiq, Labour MP for Hampstead and Kilburn, says the low moral in the NHS over the Government's changes to the junior doctor contract threatens patient safety. Cameron makes plea to junior doctors, who will vote whether to go ahead with three strikes this winter today: "Please look very careful at what the Government is offering". He says the changes are not an increase in hours, not a cut in pay for junior doctors and is actually a 11% rise in basic pay. He tells junior doctors to go on the Department of Health website and use the pay calculator and claims no junior doctors will be worse off. Meanwhile, elsewhere Ken Livingstone is refusing to apologise for his mental health slur against defence minister Kevan Jones. The former London Mayor said Jones should seek “some psychiatric help” after he criticised the Livingstone's appointment to the Labour party's review of Trident. Labour MP Jonathan Reynolds brings up the recent row David Cameron has had with his local Oxfordshire council over cuts to frontline services. Cameron shouts back: "What I say to my local council is what I say to all councils: You've got to get more for less, not less for more. "We want to make sure that every penny that is raised through council tax is well spent." Cameron mocked as "leader of anti austerity movement in Oxfordshire" after letter to council. Says he wants "more for less not less 4 more"
PMQs has come to a close - dominated by the terror attacks in Paris and Britain's response. Police cuts played a large role - it wasn't just Jeremy Corbyn demanding the Government protect police budgets in next week's Spending Review but also back bench Tory MPs. Osborne is under a lot of pressure to protect police spending in the light of the terror attacks so close to British soil. It was also interesting how Jeremy Corbyn chose not to ask any questions about Cameron's plans to launch air strikes on Isis in Syria - a plan that is expected to be voted on by MPs before Christmas. It was left to Angus Robertson, SNP's Westminster leader, to demand that any proposal to bomb Syrian targets wins the backing of the UN. Lisa Nandy, Labour's shadow energy secretary, is on BBC2's Daily Politics show. Asked about Labour's stance to Syria air strikes, she says: "Cameron must go to UN and get a mandate for any action, but it should only take place as part of a wider plan. And asked about Ken Livingstone's mental health slur against Kevan Jones (who has suffered from depression), she says: "If he doesn't apologise, i would expect this to go back to the National Executive Committee and they should take action." Many in Labour are calling for Livingstone to stand down from his co-chair of the Trident review or be sacked. "I hope we can resolve this and be able to work on a better basis than we have been doing over the next few days. 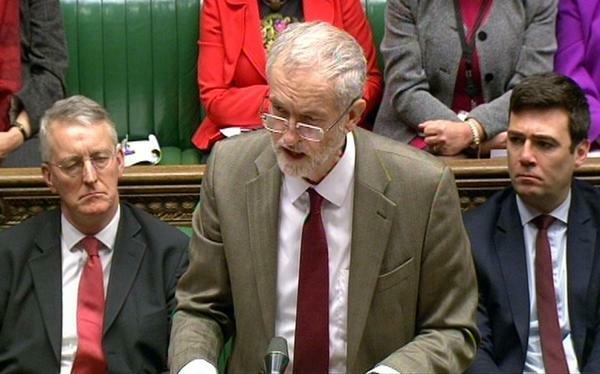 PMQs was predictably dominated by events in Paris. and called for a “large coalition” to fight Isis at source in Syria and Iraq. are protected in the spending review next week. doing “more for less” and using the cuts to maximise efficiency. Spending Review in the Commons afterwards.